Last year's Moto E4 and Moto E4 Plus both received high praises in our reviews. Those phones both sported front-mounted fingerprint sensors, just as Galaxy devices and iPhones did for many years. 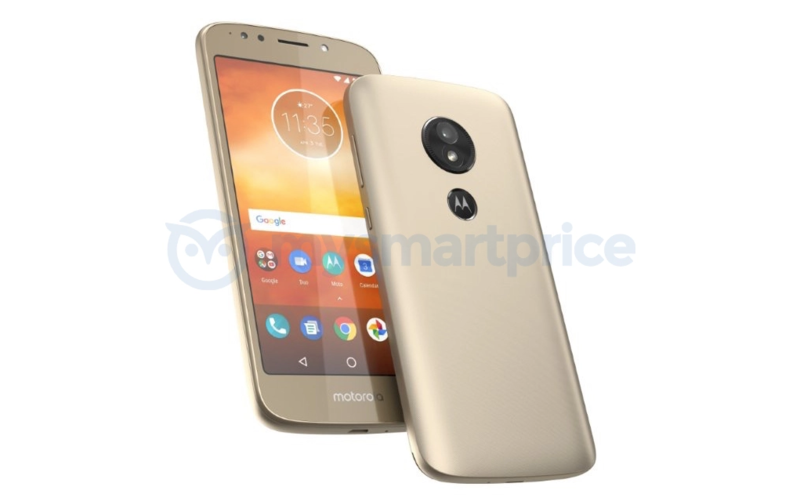 However, it looks like Lenovorola may be moving the fingerprint sensor to the back for the Moto E5, according to a leaked image. The image doesn't immediately make it obvious that the Moto E5 has a fingerprint sensor at all, but a closer look at the back reveals that the logo underneath the camera doubles as a sensor. This is identifiable by the chrome ring around the sensor, which most phones have, as well as the clear lack of a sensor on the front of the phone. Instead, Lenovorola has opted to put some simple "motorola" text there. For reference, the Moto E4 and E4 Plus had "moto" written above the screen, but below the earpiece. 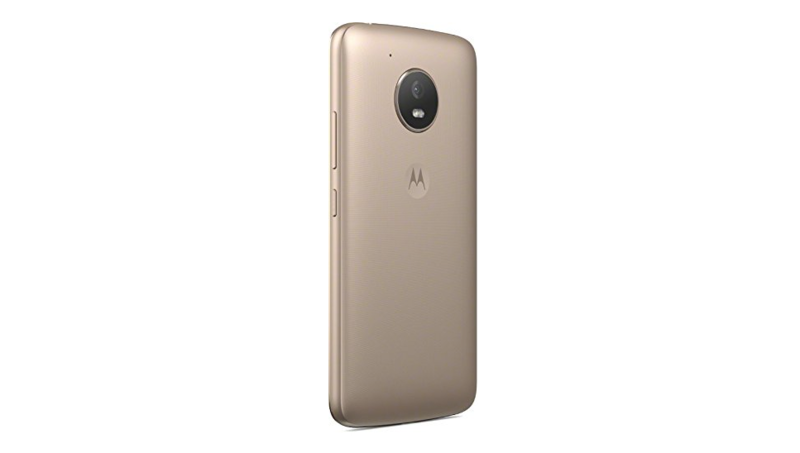 The back of a gold Moto E4. Those of you who had the Nexus 6 will probably recall that Google and Motorola had thought about having a fingerprint sensor on the rear "dimple," but chose to put a Motorola logo there instead. Now it seems like we can finally have the best of both worlds. That being said, not all is good; it looks like the Moto E5 still uses a microUSB port instead of the USB Type-C that is now commonplace. At this point, in 2018, this is getting a little ridiculous. We can also see a single rear camera with a flash, a front-facing camera with flash, a screen that appears to be 16:9, and a microphone that has been relocated to the front. The body is said to be metal, but we're not sure; it's hard to tell from a picture, there aren't any visible plastic inserts or antenna lines, and the whole thing looks pretty similar to the Moto E4's body. Plus, this is still a budget phone. Since the Moto E4 was released in June 2017, we'll probably have to wait at least another few months to see this thing officially unveiled. But that's okay, given how good the E4 and E4 Plus are. Just don't pull an HTC and launch a 2018 phone with Nougat just to avoid having to include Project Treble.